When is eid ul adha 2017 will celebrate this year? Muslim Festival Eid ul Adha would be celebrated on Sunday 2nd September 2017. The Eid is celebrated on the same date every year according to Islamic calendar but the days change according to Gregorian calendar. 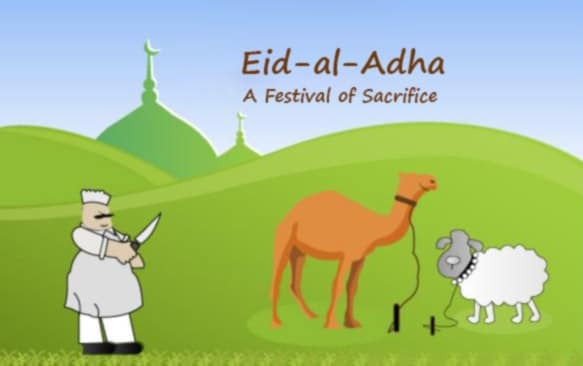 Every year Eid-al-Adha comes 11 days earlier according to Gregorian calendar. Eid-ul-Adha (Bakra Eid) is one of the Holy festivals in Islam. It is celebrated by the Muslims all over the world. The basic purpose of celebrating Eid-al-Adha/Eid-e-Adha is to commemorate the sacrifice of the Prophet Ibrahim (A.S) and his son Ismael (A.S). The Prophet Ibrahim was ordered by The ALLAH Almighty to sacrifice his son Ismael. He took his son for sacrificing him, but ALLAH (SWT) intervened through his angel Gabriel and accepted his sacrifice. ALLAH (SWT) sent an animal to sacrifice in place of Ismael (A.S). We every year solemnize this event by sacrificing a goat, a cow, a sheep or a camel. Eid ul Adha is the holy festival celebrated by the Muslims every year all around the world. It is very important for a Muslim to know and understand what Eid-ul-Adha is? For the understanding of the answer, we must know the history and background of this Holy event. The story behind this event follows the story of the faith of Ibrahim (A.S) who was commanded by the ALLAH (SWT) to build the foundation of ‘Kaaba’ (the most sacred place for the Muslims) in Mecca. The Ibrahim after immediately watching this dream began his journey towards Mecca with his wife and son Ismael. At that time Mecca was a barren desert. Prophet Ibrahim had to face many difficulties but, he obeyed ALLAH’s order without any complaint. Then in a divine dream, the Prophet Ibrahim saw that he is sacrificing his son by ALLAH’s command. He told his son Ismael about the dream. After hearing this Hazrat Ismael said to his father to fulfill the dream as it is the order of ALLAH and he assured that he would find his son obedient ready to sacrifice his life for Allah. Allh accepted his sacrifice and replaced the boy with a lamb when Hazrat Ibrahim was about to slaughter his son. To commemorate this exceptional sacrifice of Hazrat Ibrahim and Hazrat Ismael the Muslims celebrate the Eid al Adha/Azha. On this day, people offer the Eid prayer at the mosques and then, they listen to the sermon carefully. People also wear new clothes. Some people buy new clothes for their servants too. Most of the Muslim families buy an animal for sacrifice in the way of Allah according to Allah’s command. That animal can be a sheep, goat, cow, or a camel. However, in most of the European countries, such a sacrifice is not legal or allowed. It is prohibited in Australia, the United Kingdom, New Zealand, Canada, the United States of America and some other nations. In such countries, Muslims buy the meat from butchers and divide it accordingly into three equal parts. According to Islamic Lunar calendar, the Muslims celebrate the Eid ul Adha on 10th of Dhul Hajj. Eid al Adha celebration continues for three days. The dates of Eid vary according to Gregorian calendar. The Eid begins with offering the two Rakat of Sunnah prayers. Before the Eid, the Muslims perform the pilgrimage. This is one of the most important pillars of Islam and is mandatory to perform for the Muslim who has the resources to go to Mecca to perform this obligation. 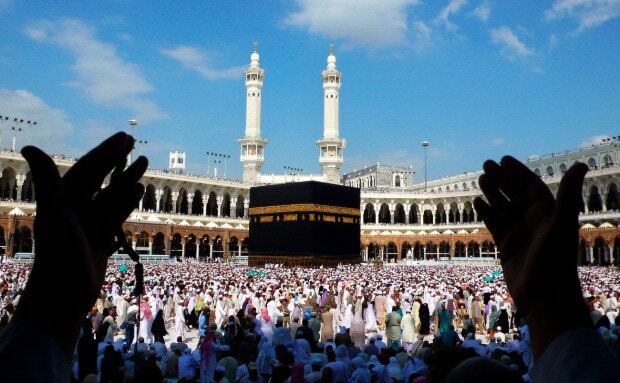 Different Muslim countries offer Hajj packages for the convenience of the Hujjaj (the pilgrims). The Muslims on the day of Eid ul Adha first offer the Eid prayer followed by the sermon. Then they come back home and start scarifying the Halal animal which could be a goat, cow, sheep or animal, etc. In Muslim countries, it is not a problem to purchase an animal and slaughter it, but it is not allowed in the non-Muslim countries so, they consult the butcher’s shops for this purpose. The animal must be purchased carefully and must be of certain age and quality. Then people dressed up in neat and clean clothes on the day of Eid. The meat of the ‘adhiya’ (the sacrificed animal) is divided into three parts. The one-third is distributed to poor and needy; the other third is given to the friends, neighbors, and relatives and the family retain the remaining third. This gives the lesson to share the Eid ul Adha Greetings with those who cannot afford to purchase an animal to sacrifice or eat meat. Eid al Adha is the source of happiness and greetings when a family distributes the meat of slaughtered animal they visit their neighbors and relatives to share the Joy of Eid. Eid ul Adha for kids is also an occasion of great Joy. In Islamic countries, there are three Eid-al-Adha Holidays when school, colleges, and other institutions remain closed. Children wearing new clothes fly like butterflies here and there. Who must Attend the Eid Prayer? Men should go to the Mosque or Edgar. Women can attend the prayer, but it is not mandatory for them. The person who is in good health. The Eid prayer is performed when the sun is completely rising but before the time of Zuhar (Dhuhr) prayer. In the case of any natural disaster, the Eid prayer can be delayed to 11th of Dhul Hajj. It is highly recommended to the Muslims to perform the Prayer according to Sunnah of the Holy Prophet Hazrat Muhammad (P.B.U.H). Do the ablution and offer the Fajar prayer. Then wear the neat and clean clothes. Do care of your personal cleanliness. This is the feast of sacrifice which is celebrated all over the world by the Muslims. Though the Muslims living in the non-Muslim countries have some difficulties to celebrate this occasion yet they celebrate it with utmost Joy and happiness as it is the Holy occasion. This event is a source of creating brotherhood among Muslims as they share the Joy of Eid by distributing meat with each other. If someone is angry, then it is the best time to make him happy and resolve all the issues. It is the great Joy after sacrificing the animal in the name of ALLAH (SWT). But, do not forget to share the blessings and happiness of Eid-al-Adha with the poor. As it said above, Eid ul Adha 2017 celebrate in all over the world 1st or 2nd September.